I recently received an invitation through Facebook for the Love ATX / Interdependence Festival. We all get plenty of invites through FB and so many have to go ignored. We just can’t make every band, party, celebration and event that shows up in our inbox. What caught my eye was the large selection of Yoga and music being offered. Something everyone on the claysandstraw.com crew can appreciate. It also was not going to compete with fireworks, an orchestra or the family on July 4th. The more I investigated the more I liked the shape the festival was going to take. Love ATX has a mission statement which we feel has merit. Mainly that it tries to use local collaboration and idea exchange as a conduit for creating healthy communities. And for a donation instead of charging admission, anyone can go. The more I wanted to go the more attention I began to give to the schedule of speakers, workshops and musicians. I quickly realized that they needed a presentation on shelter, specifically Natural Building, a community that addresses shelter through the lens of locally available, sustainably harvested materials that can be used to build healthy shelters. Not to mention it’s most attractive componet, the super awesome beautiful aesthetic. So I signed Kindra and I up to give a slide presentation and discussion on the merits of Natural Building and invited a bunch of friends. You are invited too if you happen to be in Austin on July 3rd or feel like making the trip. We recently finished a project in the Hill Country in which each crew member was asked to design a pattern for a wall sconce that would be symbolic of themselves. On a visit over the holidays we were able to see the finished project installed on the exterior of the house. Thank you Janet for being so incredibly thoughtful. 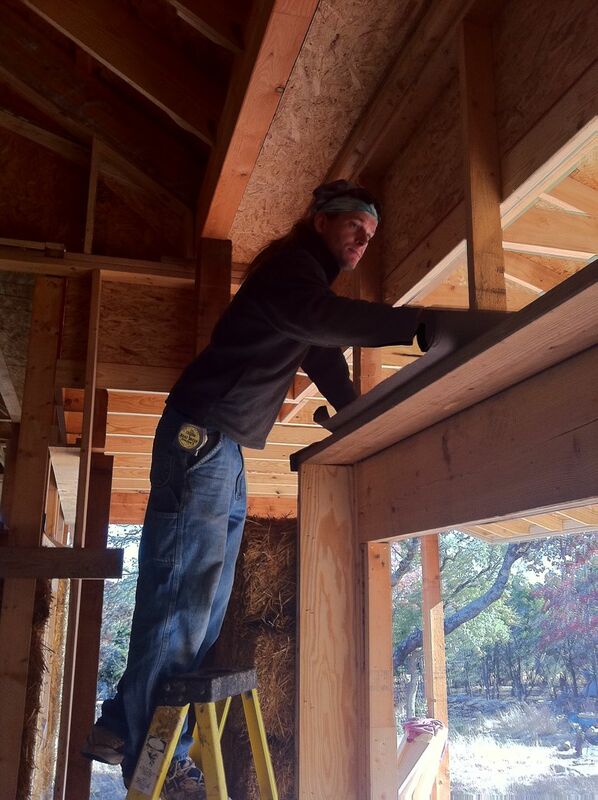 We have recently started work on the straw bale infill for the Gray Residence. A project that has been in the planning stages for nearly a year. Once all the pieces fell into place, Roland Luna, the General Contractor began work on a design by architect Ben Obregon for the Gray’s rural property west of Leander, TX. The design, post and beam on a cement slab with straw bale infill, is approximately 3500 sq. ft. It features a pottery studio, dog run, large southeast facing porch. It will have a lime exterior plaster and earthen interior plaster on the bale walls. We will participate as a crew placing and shaping bales in the exterior walls and then finishing the interior with an earthen plaster. Frank Meyer of Thangmaker Construction will provide the exterior lime plaster. We expect to work on bales and netting for several weeks, then move to the earthen interior plaster while finishing the bale details. Once the windows and doors are placed work can begin on the exterior plaster. Our crew of several veteran members, a few new members and one volunteer consists of Kindra Welch, John Curry, Aaron Ralls, Lucas D., Jaime Hutton, Michael Blaha, Joshua Jude, and Jennifer Love. Wylie strawbale home – 3500 sqft multi-generational residence designed by architect Ben Obregon of the Sustainable Design Center (http://sustainabledesigncenter.com/) Fully permitted under Austin’s own strawbale code! July 14th – After some normal construction delays (rain, rain and more rain 🙂 we had our first bale delivery to the future home of Tom and Mari Wylie in central Austin. Front door installed, buckets cleared away, tarps getting folded up and stashed… and underneath our layers of punch lists and postponed projects we are seeing the finished house slowly come into focus. A short update on our current and future projects. We will finish up the Hunt Cob Project this week leaving a few things to dry and tie up. 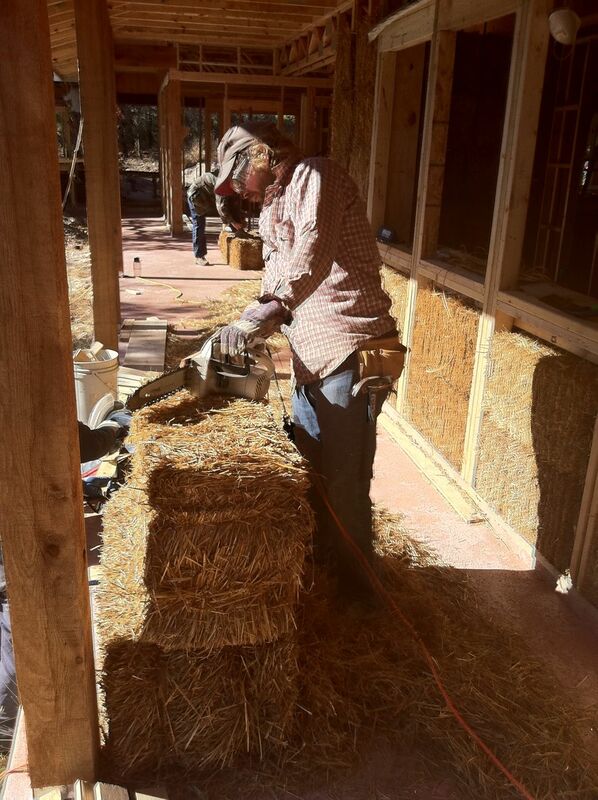 We will move to an Austin Straw Bale Project that will involve us placing bales and lathe that should only take two to three weeks. Our Fall Straw Bale project appears to be taking shape. The foundation was poured last week. 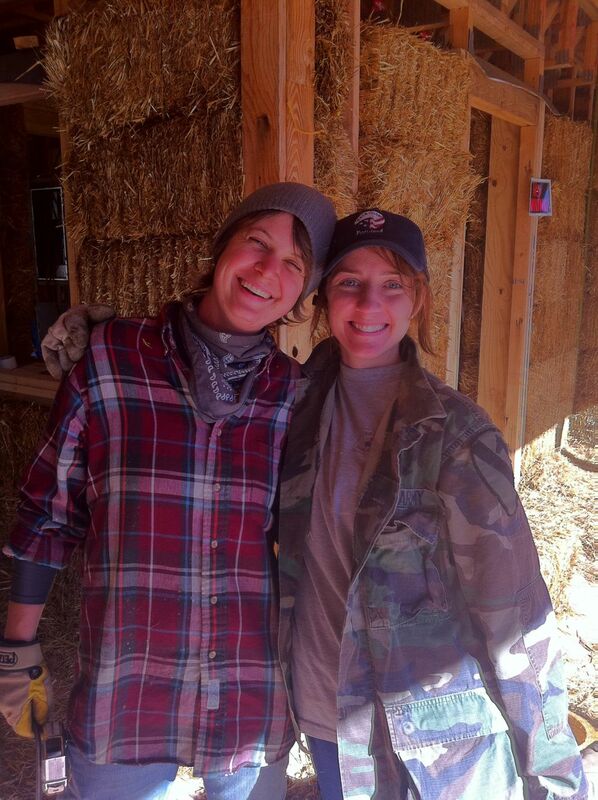 They should have the framing done by the time the our portion of the Austin Straw Bale Project is complete. We expect to start shortly after the first of August. We may not get the opportunity to visit New Mexico this summer. 🙂 We are hoping to establish the solar hot water for the radiant floors. Our friend Thomas at TechSun is designing the system. For those of you unfamiliar with the term “punch list,” here is a little wikiness for you. A Punch list is generally a list of tasks or “to-do” items. In U.S. construction industry, a “punch list” is the name of a contract document used in the architecture and building trades in the United States to organize the completion of a construction project. For us a punch list is basically a flow chart showing tasks in the order that they need to be completed. It is good to have someone around like Kindra that enjoys creating good punch lists. Stories about the progress of current claysandstraw.com projects, natural building techniques, and other topics of import.